Applicant’s education qualification should have Graduate degree/Textile Engineering degree/HSC exam completed. Applicants 03 copy passport size photographs and 100/- taka postal-order must be attached with application form. Application form is available below attached file. Candidates can send application before 15 June 2017 at 05:00pm to the "Director, Directorate of Textile, BTMC Building (5th Floor) 7-9, Kawran Bazar, Dhaka-1215" by Envelop. 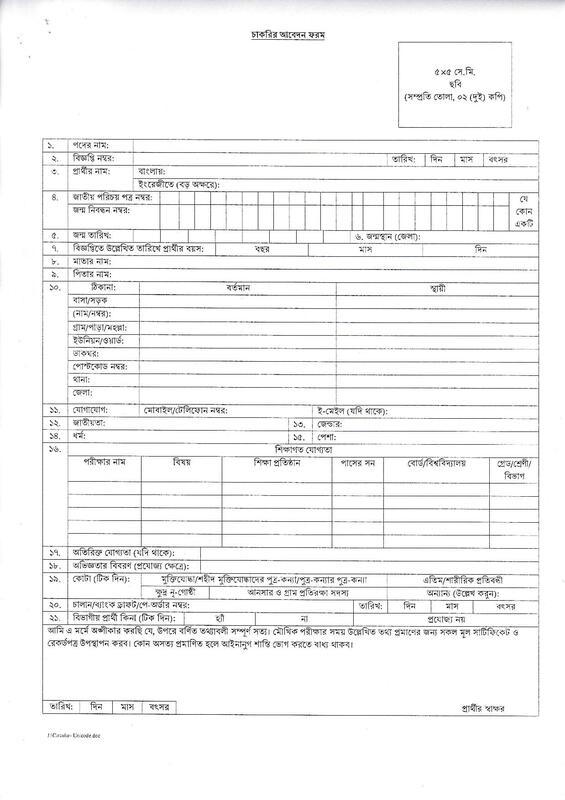 Applications Details Circular and Application Form is given below pdf file.